Register to attend in person HERE. Register HERE if you prefer to attend the live online webinar instead of in person. Financing your kid’s education is complicated and stressful! 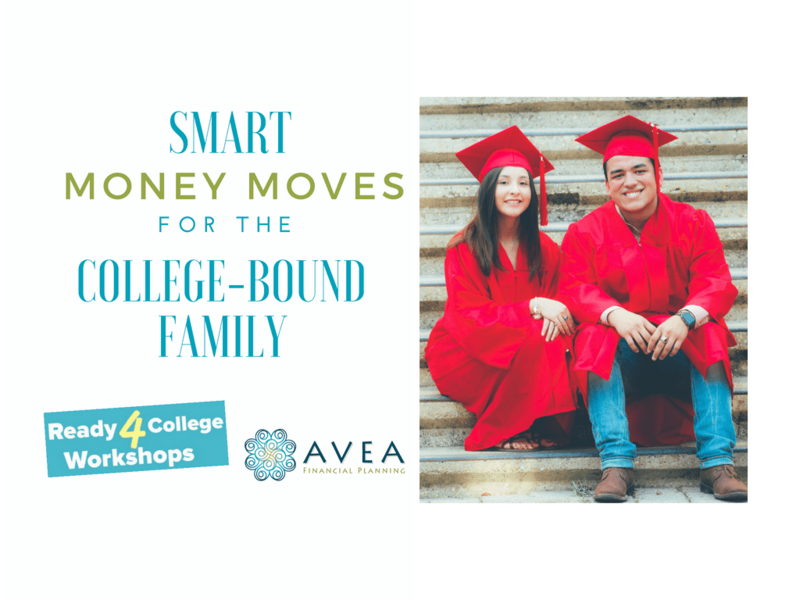 This workshop is for families with high school aged, college-bound kids who have tuition staring them in the face. Most families don’t have the full amount saved to spend on college so what should you know about shopping for college so you don’t end up borrowing too much? Angie Furubotten-LaRosee, CFP®, of Avea Financial Planning, is passionate about empowering families to make smart financial decisions. She guides them through the many transitions of life such as sending kids to college, preparing for retirement, seeking the next entrepreneurial challenge, planning for aging parents, and managing a windfall like an inheritance. Families who have done it all themselves up to now know that to take it to the next level they will need to partner with an experienced, competent advisor. She incorporates financial life planning and investments into one service to help families be smarter and stronger, from parent to child to grandchild.